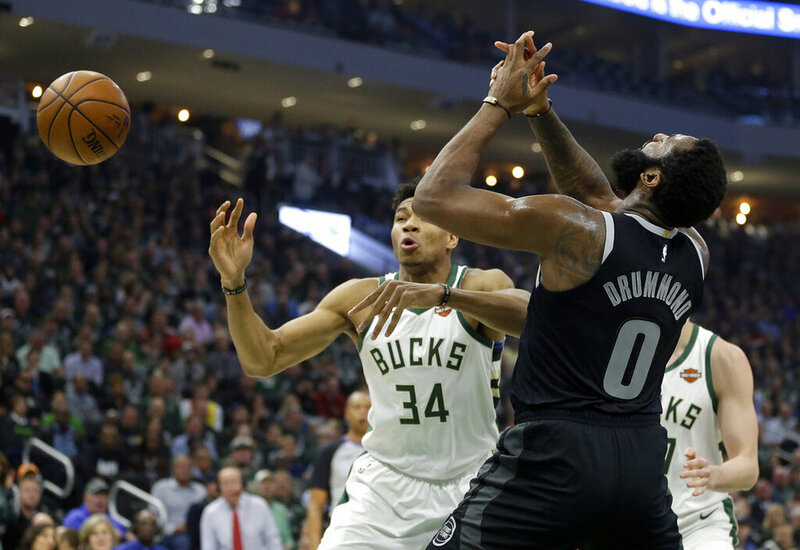 The Milwaukee Bucks, using the brilliant inspiration of Giannis Antetokounmpo, wrapped up their first playoff series win since 2001 on Monday night after a 127-104 win in Detroit that saw them sweep the Pistons. 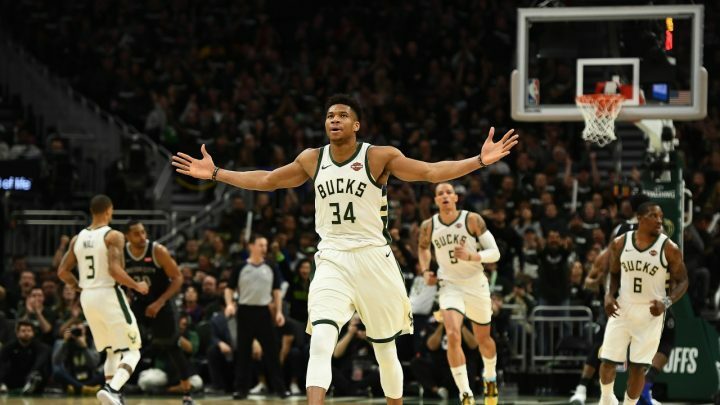 The Greek Freak was at his best, scoring nearly impossible baskets and repelling shots like a more agile and scary Dikembe Mutombo. He collected 41 points in all in the win, the most he’s ever managed in a playoff game. With the win, a streak of eight first round series losses came to an end. Milwaukee, since the first time since Jesus Shuttleworth played for them, has now moved into the second round. They will face off against the Boston Celtics, a team that also swept their first round opponent away. In Utah, the Jazz and Donovan Mitchell showed that they had some fight left in them as they remained alive, albeit only slightly, thanks to a 107-91 win over the Houston Rockets in Salt Lake City. 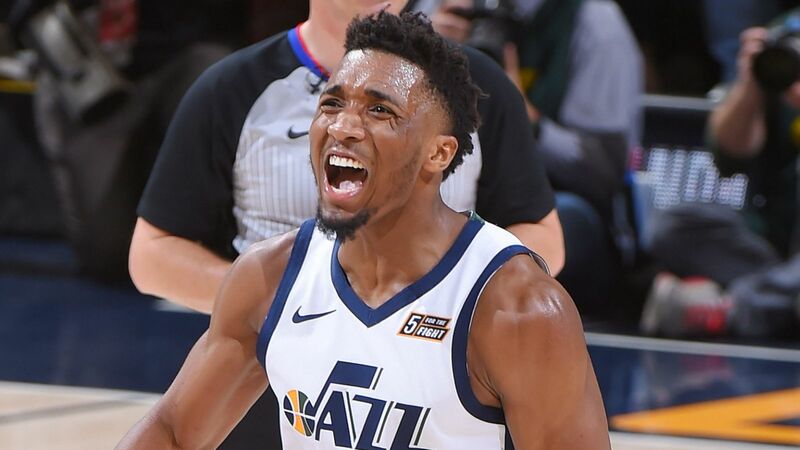 Mitchell and co. made the series 3-1 as he hit the visitors for 31 points, 19 of which came in a fourth quarter in which they ran away and hid. James Harden had 30 in the loss for Houston, who only mustered 12 points in the decisive final period. Despite their win, Utah still look outsiders seeing as how they have to win three more in a row to advance. The Boston Celtics have clinched a spot in the second round of the NBA Playoffs, becoming the first team to do so after a 4-0 rout in the series. Sunday made it official as they held on to win 110-106 in Indy to finish off the Pacers. 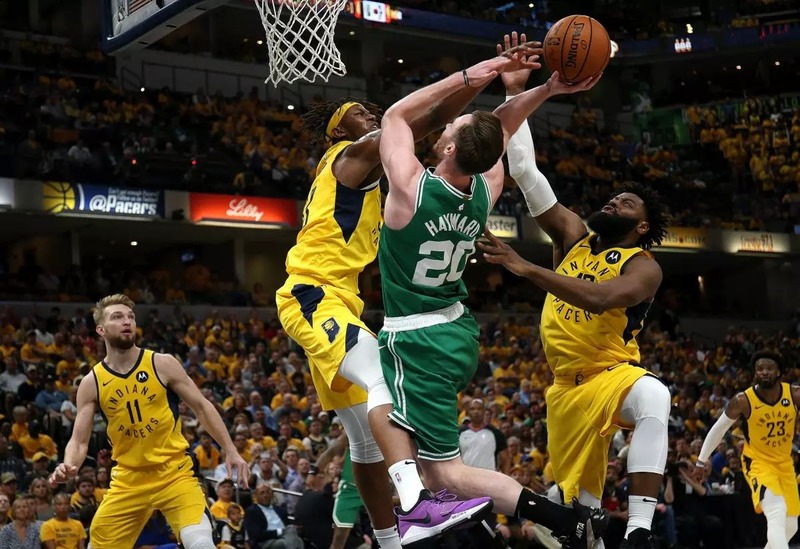 Gordon Hayward had a big day on his return home, scoring 20 points and missing just twice from the floor. Quite a response given he didn’t even feature in last season’s playoffs. Elsewhere, three teams put themselves in commanding 3-1 series leads, meaning they have three shots to get just one win now and move on to join Boston. One of them was defending champions Golden State. The Warriors won 113-105 over the Los Angeles Clippers, getting another monster 33-point showing from Kevin Durant to lead them toward a berth in the second round. Klay Thompson had 32 of his own, and now they can seal it up in Oakland in Game 5. 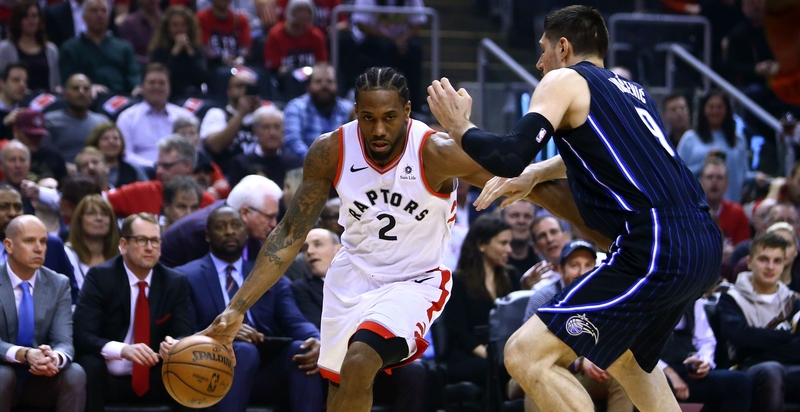 Toronto got a dominant 107-85 win over the Magic in Orlando, which will set up the Raptors for a chance to seal a playoff series victory in Canada. The second and fourth quarters couldn’t have been much worse for the hosts, and that’s where it all went wrong, with the ball suddenly just not being scored. Kawhi Leonard led the visitors with 34 points, making a number of defenders look terrible in the process. And finally, the Portland Trail Blazers also took a big advantage over the OKC Thunder by grabbing a 111-98 win despite relentless trash talk from Russell Westbrook and co. Damian Lillard, who scored 24 points, had 15 drop in a decisive third quarter that fueled the victory. Westbrook didn’t make a single basket from the floor in the second half, illustrating the tremendous defensive acumen on hand from their visitors. They now have a chance to progress back in Portland. After Saturday’s action in the NBA Playoffs, we are very close to knowing two teams that will be headed to the second round. One of them is the Eastern Conference’s #1 seed, the Milwaukee Bucks, who now have a 3-0 series lead over the Detroit Pistons after a 119-103 win. And they did it on a night in the Motor City in which Giannis Antetokounmpo had foul trouble throughout, meaning he wasn’t a huge factor. Blake Griffin also returned for the hosts, too, putting in 27 points in the loss. Khris Middleton had 20 in the Bucks’ great team effort. The Houston Rockets are also one game away from moving on after they defeated the Utah Jazz 104-101 in Salt Lake City. James Harden had, perhaps, one of the worst shooting nights of his life, yet he still had 22 points overall. He missed his first 15 efforts from the floor and only had three buckets all game long from it. But his acumen to get to the free throw line paid off, and he would score 14 of his 22 in the fourth quarter to help his Rockets do just enough to put a stranglehold on the series. Donovan Mitchell also had a less than stellar game from the floor but still had 34 points for the losing hosts. Elsewhere in the NBA, the Denver Nuggets got a big 117-103 win on the road to even up their series with the San Antonio Spurs at two games apiece. In a battle of the big men, LaMarcus Aldridge lost out to Nikola Jokic. Aldridge had 24, but Jokic had 29 points and chipped in with 12 rebounds in the victory that keeps the series alive. The Philadelphia 76ers won 112-108 over the Brooklyn Nets to take a 3-1 lead in what was a very chippy game. Joel Embiid made his return and had a double-double in the win that saw players thrown out. 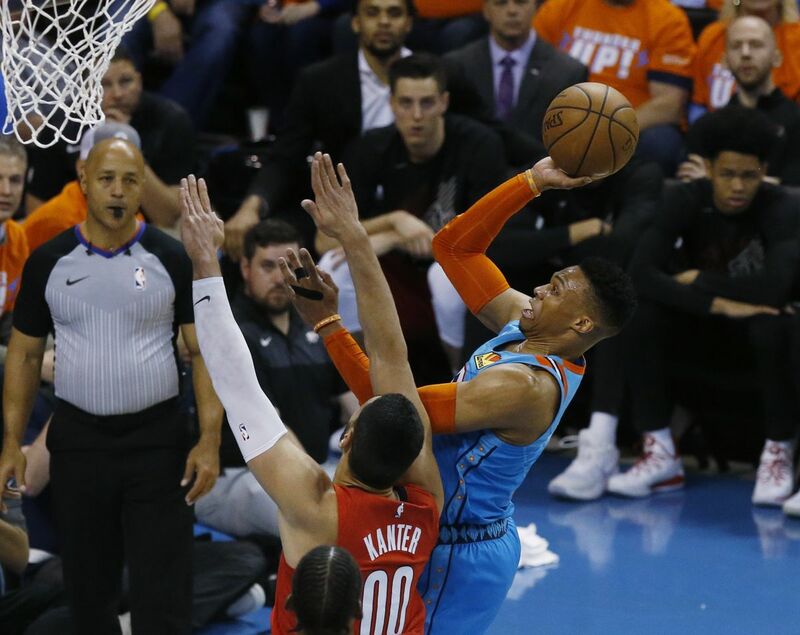 The Oklahoma City Thunder came into Friday night’s home game with the Portland Trail Blazers down 2-0 in the first round of the NBA Playoffs knowing that they had to have a win. And they got in the end, riding Russell Westbrook to a 120-108 victory. 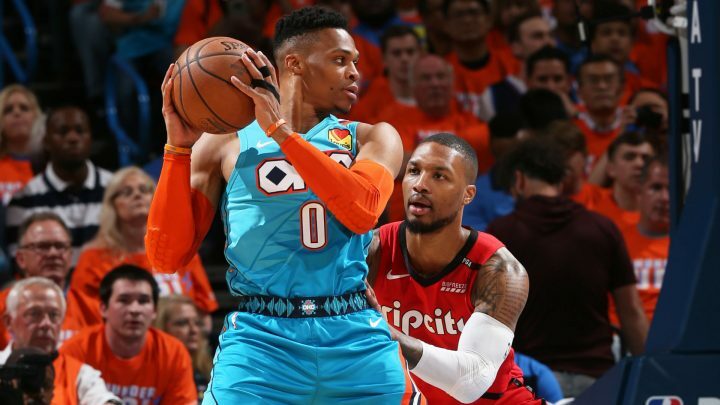 Westbrook had previously said his play in Game 2, a game in which he nearly had a triple-double, wasn’t good enough and he went out and put up 33 points in response, one more than opposing point guard Damian Lillard did in their chippy duel. The win keeps OKC in the series, for now at least, and means they still have a chance to get a major monkey off of their backs regarding the playoffs. The Boston Celtics are nearly into the second round after they took a 3-0 series lead against the Indiana Pacers after a 104-96 win in Indy. Jaylen Brown had 23 points, on 8-9 shooting from the floor, while Kyrie Irving added 19 of his own for the Celtics. The Pacers, through three games now, have yet to break 100 points in the series. You just have to think this would be totally different with Victor Oladipo out there… But he’s not, and they are now on the brink of elimination. 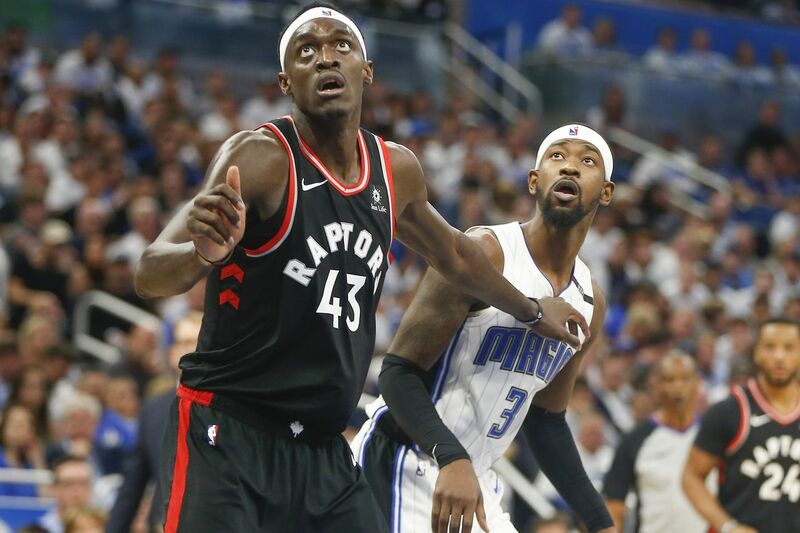 The Toronto Raptors don’t often make the playoffs easy, and that kept up on Friday night in Orlando as they took a 2-1 series lead over the Magic. The final score ended up being 98-93, with the visitors holding off a rally from the hosts. 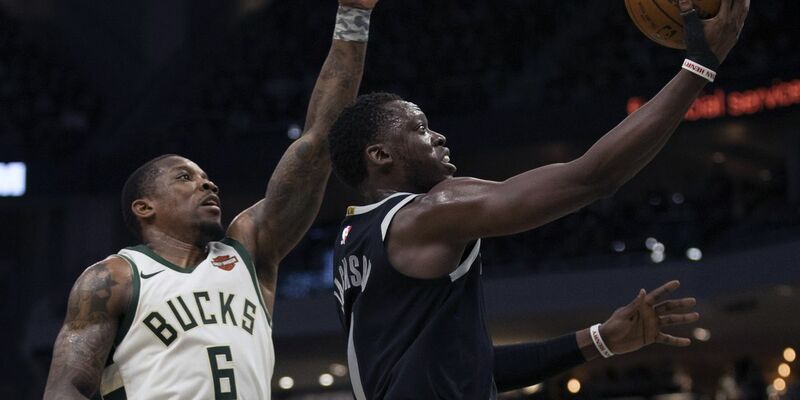 Pascal Siakam continued his exquisite performance with a 30-point showing and Kawhi Leonard had just 16 points on what can only be called a strange night. With a series tied 1-1 and heading to a new court, it’s always interesting to see how the two teams will respond. On Thursday, two games of that magnitude were played. And it was the higher seed that prevailed both times in order to take a 2-1 series lead- a stranglehold over the entire thing that puts big pressure on the other team to overturn it. 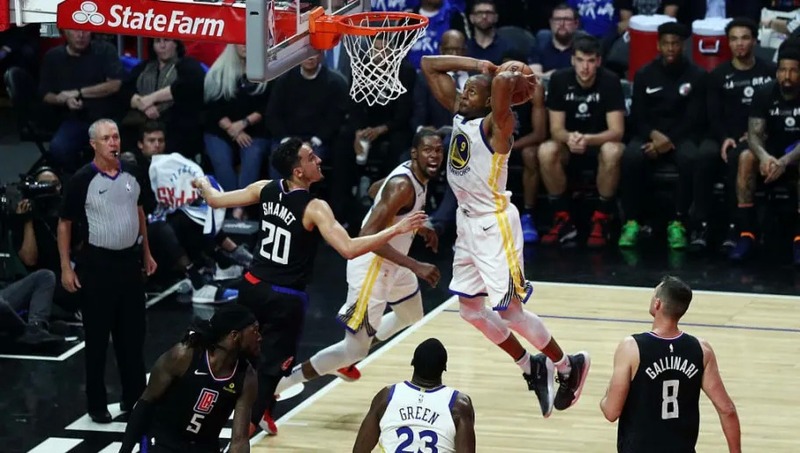 The Golden State Warriors blew out the Los Angeles Clippers 132-105 as Kevin Durant bounced back and had a monstrous 38 points. All those points came in just 29 minutes of basketball for him, too, showing he is paying attention to what has been said about him in the media yet again. 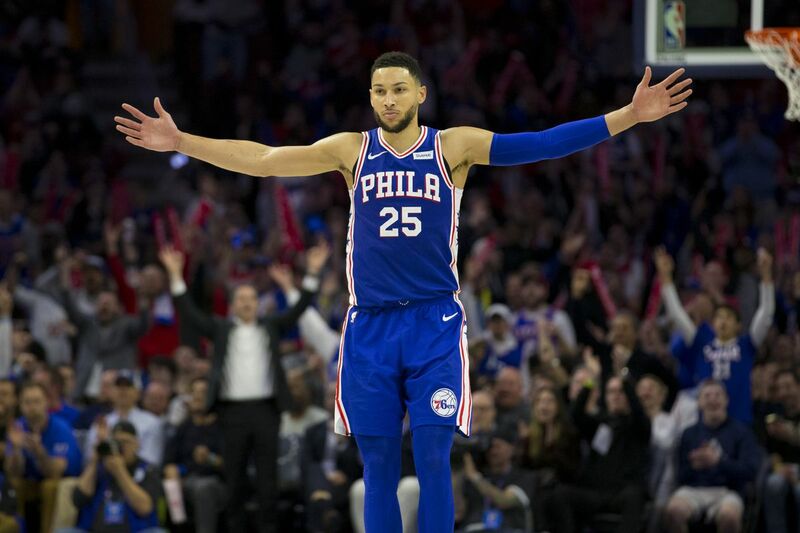 Ben Simmons had a similar sort of performance in his Philadelphia 76ers’ 131-115 win over the Brooklyn Nets, with the star scoring 31 points, the most he’s had in the playoffs to date to give them the commanding advantage in the series on hostile ground. He would miss just two of his shots all game from the field to lift them despite not having Joel Embiid on the night. In the other game of the night, it was the San Antonio Spurs, an ‘underdog,’ that grabbed a 2-1 lead in their series with the Denver Nuggets with an 118-108 win in Texas. 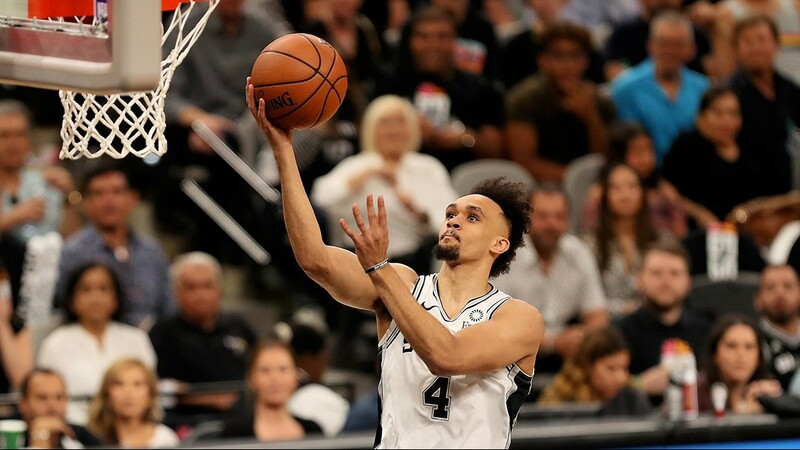 Point guard Derrick White had the game of his life, putting in 36 to give his seven seed team hopes of moving on to the next round. Nikola Jokic had 22 to lead Denver in the defeat. It’s never been a pretty sight for teams that have gone down 2-0 in an NBA series. But that’s exactly what three teams saw happen to them on Wednesday night, lessening their chances of a remarkable revival greatly. In NBA history, there have been just 20 instances, out of 282 attempts, that it has occurred. Will any of these teams do it? We’ll find out in due course. Eastern Conference leaders Milwaukee hammered the Detroit Pistons 120-99 on the back of a big third quarter. Giannis had 13 of his 16 points in that period alone, while Eric Bledsoe ended up with 27 of his own. 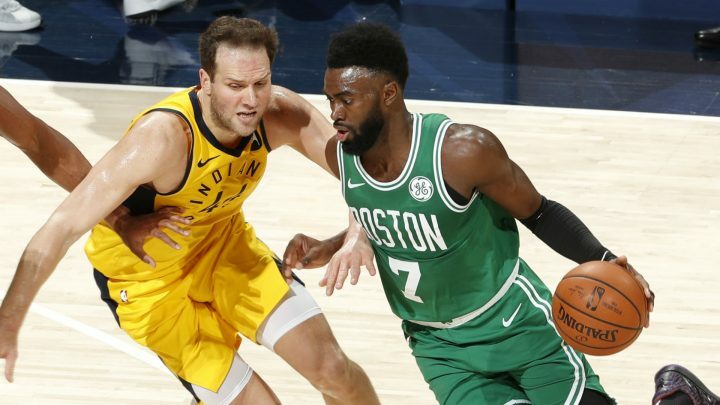 The Boston Celtics continued to disallow the Indiana Pacers to score the ball, holding them to just 12 points in the fourth quarter, in a 99-91 win. Kyrie Irving had 37 points as they rallied to come from behind. 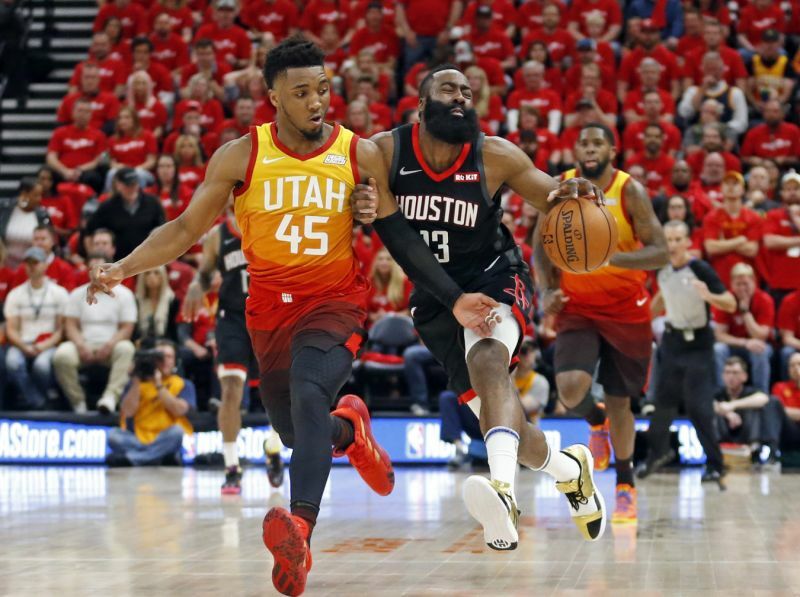 And finally, it was comfortable out West as James Harden’s triple-double (32 points, 13 boards, 10 assists) led the Houston Rockets to a 118-98 win that was never in doubt after they led by 20 after the first quarter over the Utah Jazz. It’s another season, yet it appears to be the same old story for the Oklahoma City Thunder. Despite having at least two big stars on their team for years now, they haven’t been able to make much of a run in the playoffs. 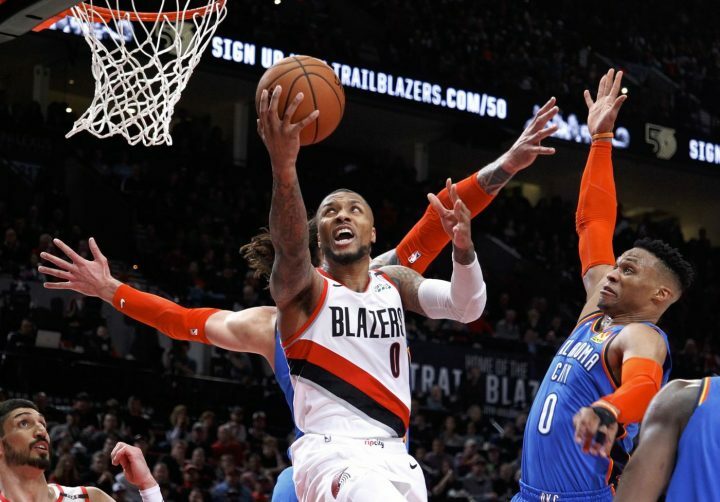 And, unless they turn things around very quickly, that trend is going to continue for another year after they went down to a 2-0 series deficit against the Portland Trail Blazers on Tuesday night. CJ McCollum had 33 points for the hosts, while Damian Lillard chipped in with 29 of his own as they ran out comfortable 114-94 winners after a dominant second half saw them overturn a slight deficit from early in the game. Russell Westbrook, who has seen this movie plenty of times before, was a rebound shy of a triple-double yet claims his play wasn’t good enough. Apparently not, and now the Thunder have lots of work to do to stay in the playoffs. Paul George led the Thunder with 27 points in the defeat. 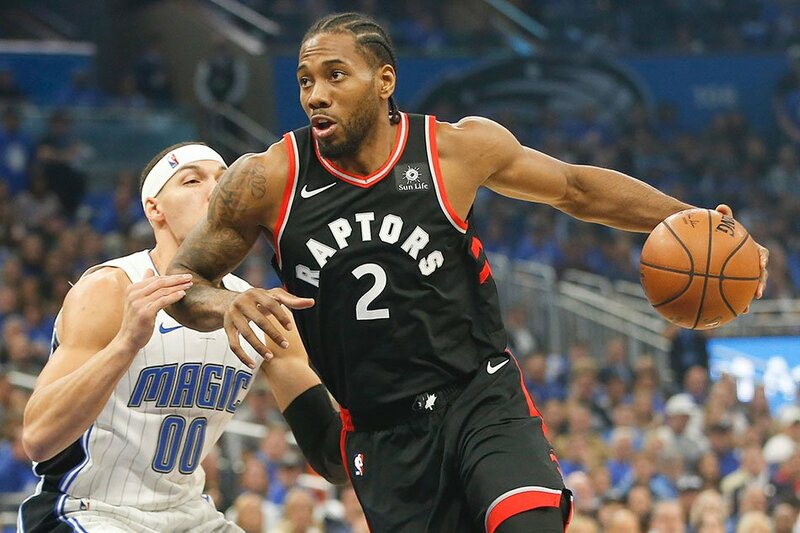 Elsewhere in the NBA, a couple of series got squared up as the Toronto Raptors defeated the Orlando Magic 111-82 and the Denver Nuggets overcame the San Antonio Spurs 114-105. Kawhi Leonard answered the critics and naysayers with 37 and Kyle Lowry scored 22 after having none in the opener to make it 1-1 out East. 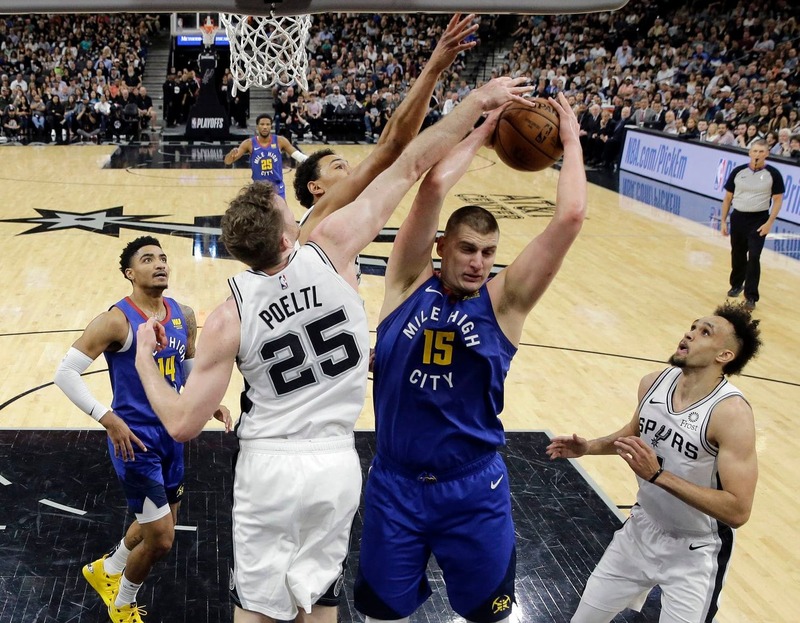 Out West, it was the Nuggets, fueled by Jamal Murray’s 21 points and the inspiration of the Clippers’ comeback against the Warriors, that allowed them to come from 19 down to win and even up their series with the Spurs. DeMar DeRozan had 31 points to lead all scorers in the loss. The Los Angeles Clippers’ fate is already known. They won’t be getting out of the first round of the playoffs against the Golden State Warriors. Monday night showed just why. 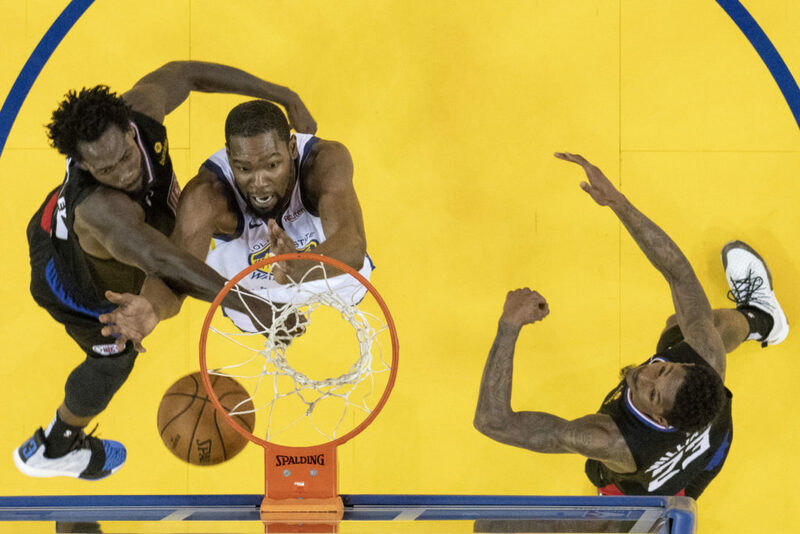 The Warriors, up 1-0 in the series, ran out to a gargantuan 31-point lead that made them look like they would sweep the series in quick fashion. But oh boy, did the Clippers have another thing coming. After getting hot from the floor, the Clippers dominated the second half, scoring over 40 points in both quarters to cut the deficit. 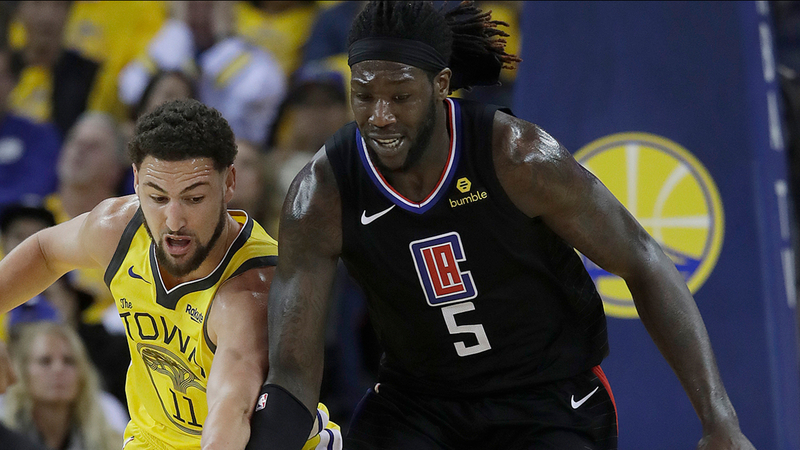 Lou Williams had 36 points to lead all scorers and Landry Shamet hit the winning three to give them a 135-131 win to even the series and make people think again- at least a little bit. Steph Curry had 29, but he missed his chance to get the Warriors back in it after Shamet hit the go-ahead bucket.